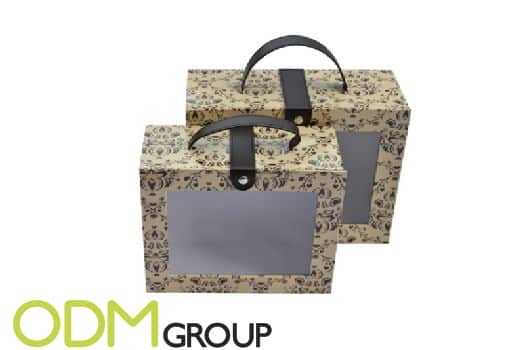 Today we would like to introduce you a great marketing idea – customized packaging. The modern market is saturated and overfilled with different goods and brands, so to surprise the buyer with something new is becoming harder and harder. In order to maintain a high level of sales, brand owners of cosmetic industry are not intending to abandon their clients, they are striving to make their product more visible and attract more attention of consumers. One of the ways to do it is to change the packaging design or to create completely new packaging. 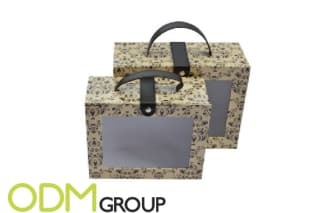 Creating a promotional packaging is as an important element of the marketing campaign. Eye-catching packaging can significantly increase sales. 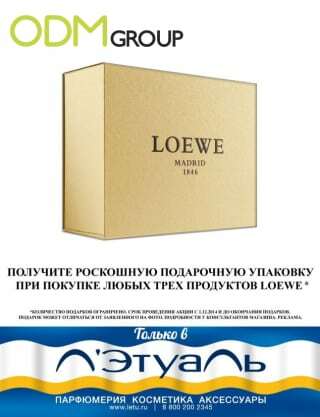 For example, currently one of the perfume and cosmetics stores L’etoile in Russia offers to their customers a gift box as a gift with purchase. 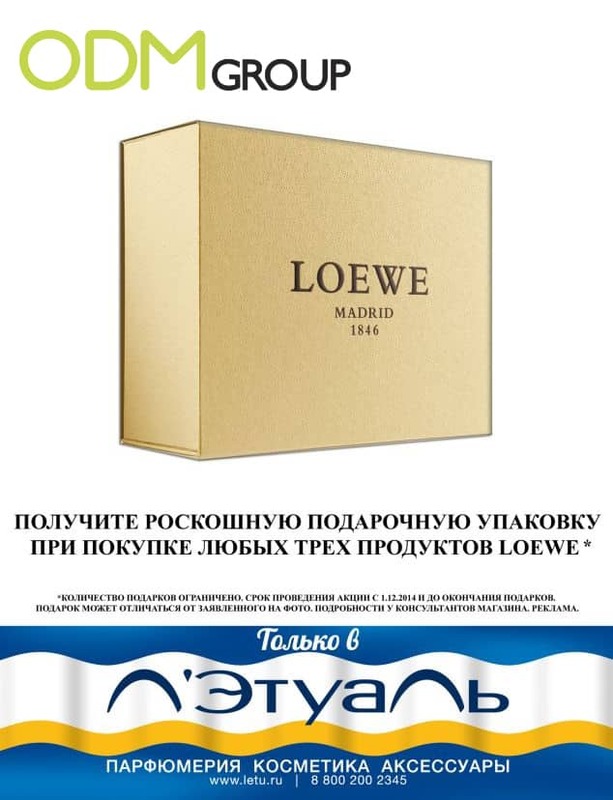 Simply purchase 3 or more products of the Loewe brand and get a luxury gift box for free. It is a good idea for promotion, as for holidays time gift theme is very actual. 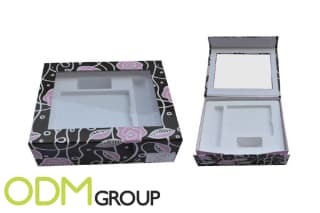 Why customized packaging is a good idea? Packaging is being used not only to protect goods and store them; it is a good way of advertising. To keep fresh image of your brand in the consumers’ minds it’s necessary to update the design from time to time. Packaging box has a lot of options for customization. It has a large surface area and perfect for branding. You can match the distinctive colours of your brand and it’s style. 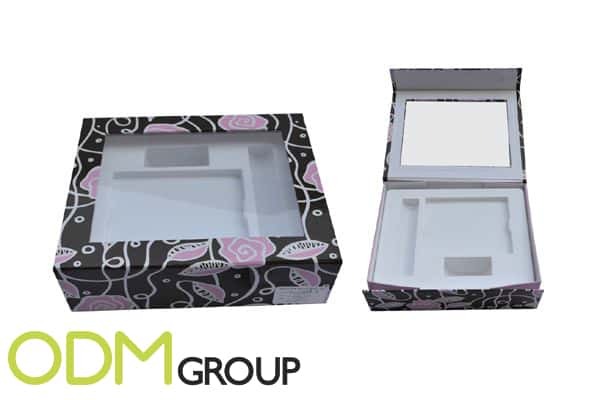 Print your logo on the box for to increase the brand visibility. Depending on the shape some packaging can be used as the POS display at the store and attract even more attention to your brand and increase sales.